Eddie Burl Beeker of Bremen passed away Saturday, September 29, 2018 at his residence. He was born in Burlington, North Carolina, June 13, 1944, son of the late Thomas Lee Beeker and Jessie Smith Beeker. 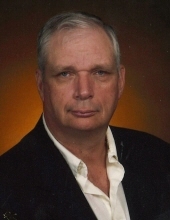 Mr. Beeker was a retired employee of Plantation Pipe Line and a member of Bremen First Baptist Church. In addition to his parents, he was preceded in death by a brother, Ray Beeker. Survivors include his wife, Joetta (Jo) Love Beeker of Bremen; daughter, Jennifer Ann Beeker of Douglasville; sons, Jason R. and Rachel Beeker of Greensboro, GA, Thomas L and Angela Beeker of Hendersonville, NC and five grandchildren, Blake, Jay and Marley Beeker, Ben and Emily Beeker. The family will receive friends at the church Monday from 1:00 until 2:00 PM. Services will be Monday, October 1 at 2:00 PM from the Bremen First Baptist Church with Brother Herman Parker officiating. Music will be furnished by the Trio, Linda Howard, Laura McBrayer and Susan Reyher accompanied by Sue Ezzell and Sara Calhoun. Interment will follow Wednesday at 11:00 AM from Pine Hill Cemetery in Burlington, NC. To plant a tree in memory of Eddie Burl Beeker, please visit our Tribute Store. "Email Address" would like to share the life celebration of Eddie Burl Beeker. Click on the "link" to go to share a favorite memory or leave a condolence message for the family.